What do LinkedIn CEO Jeff Weiner, health students at Melbourne’s Monash University and a very diverse group of participants in a welfare sector pilot study run by Australia21 have in common? They’ve all proven the power that organisations can harness from mindfulness, empathy and compassion – and inspired Australia’s new Mindful Futures Network. The Mindful Futures Network has been launched by Australia21, to chart how innovations in mindfulness, empathy and compassion can contribute to the health and proficiency of public and private organisations across the nation. Now it’s calling for information on projects and research activities which will help others to humanise their workplaces, and the decisions made within them. The concept of mindfulness has pervaded popular culture as an antidote to our increasingly fast-paced, tech-heavy lifestyles. But its application has far more potential than in colouring books and inspiring Facebook memes. While a mindful, empathic and compassionate approach can be valuable for individuals, it also offers wide-ranging benefits for government, business, and society as a whole. Neuroscience is increasingly reinforcing of the link between the mind and the body, with MRI technology helping us to literally see the physical impact of emotions, as areas of the brain light up in response to feelings such as fear and compassion. The improved understanding of the way we react to emotions and their impact on behaviour has highlighted the value of mindfulness, empathy and compassion in a range of settings. For individuals, an understanding of these capabilities can help improve communication skills, reduce stress, professional burnout and de-escalate emotional states. But training in mindfulness, empathy and compassion also has the potential to improve economic and social outcomes far more broadly. 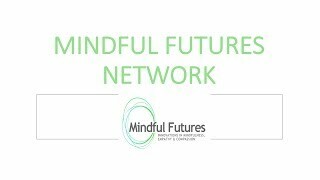 So the new Mindful Futures Network will provide a national space to collect and share information, foster innovations and initiatives, identify the benefits and limitations in particular settings and showcase Australian applications to the world. The Network is now calling for practitioners and researchers to contribute. Science is finding that if we can consciously still our minds and calm our emotions, then we build the neural connections in the stress regulatory areas of the prefrontal cortex, the part of the brain that manages emotions and attention. These findings have implications for the skills and motivations now required to support improved decision-making, perspective-taking, deep thinking, creativity and higher levels of engagement. The motivation of compassion, for the capacity to see and respond to the suffering of ourselves and others. These competencies and motivations are crucial in growing our levels of self-awareness and emotional intelligence, to better shape our social interactions and improve the more complex decision-making now required in organisations wanting to foster psychological safety. Just one headline from this week’s news demonstrates the importance of developing these competencies: the ABC reported on the very recent suicides of four junior doctors in New South Wales, resulting in calls for the medical profession to confront ‘the dark side’ of its institutional culture which requires so much from its graduates. So we felt that it’s time for our institutions – including those who work within them and those who are affected by the decisions made by them – to develop and apply these skills and motivations. When I say ‘we’ I am referring to the Board of Australia21, who I sincerely thank for their support, and members of the Network Advisory Group, who have played a pivotal role in getting this Network off the ground. Successfully mapping the innovations in mindfulness, empathy and compassion at a systems level across Australia will require you to be a crucial part of that mapping through recording what is happening and the impact that is having. This is important because what happens within organisations – and equally importantly, to their clients, patients, students, customers – forms a large majority of our human experience. It is estimated that in a normal span of life we spend at least one hundred thousand hours of our lives at work – and that doesn’t take into account the time we spend in organisations outside our workplaces, such as government agencies, art galleries, cafes, sporting clubs, schools, law courts, hospitals. In fact, when you think about it there’s very little time that we’re not within one type of organisation or another, so it is important for our physical, emotional and mental health that they are human-centred, pro-social environments. Already here and around the world, the skill of mindfulness, the competency of empathy and the motivation of compassion have found their way into organisations. 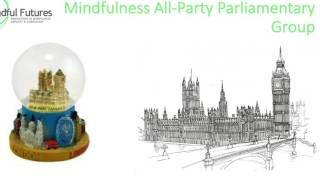 For example, in mindfulness we know that every student doing a health-related degree at Monash University is required to do an eight week mindfulness course, on the basis that medical errors are a major cause of death. Dr Craig Hassed who heads up this program was well ahead of the curve on that initiative – I think he’s been doing it for over 20 years. Empathy: Australia21 recently completed a research project which tested an empathy process as a policy resource in the welfare sector, on the basis that empathy allows for a more nuanced look at the human experience by suspending the default mode of our thinking – things like ‘All those on the dole should just get off their backsides and get a job’ – suspending that type of thinking allows for improved co-design of new approaches to policy development. 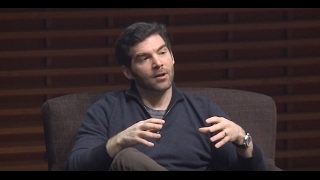 And in compassion, Jeff Weiner, the CEO of LinkedIn, has recently published an essay on managing compassionately, saying that “Of all the management principles I have adopted the one I aspire to live by more than any other is the principle of managing compassionately”, and (he) does that on the basis that compassion in organisations creates the psychological safety that enhances learning and creativity. Therefore, what we are seeking to do in this network is to collect information on projects and research activities happening right across Australia to not only report on them, but to inspire others who are wanting to make their workplaces and the impact of the decisions taken within those workplaces, more human-centred. The mapping template will be sent out for input. Another webinar will be held later in 2017. In mid-2018 we will run a conference to share the outcomes achieved. Feel free to send in your ideas at any time – via the Mindful Futures pages on the Australia21 website – www.australia21.org.au/mindfulfutures.